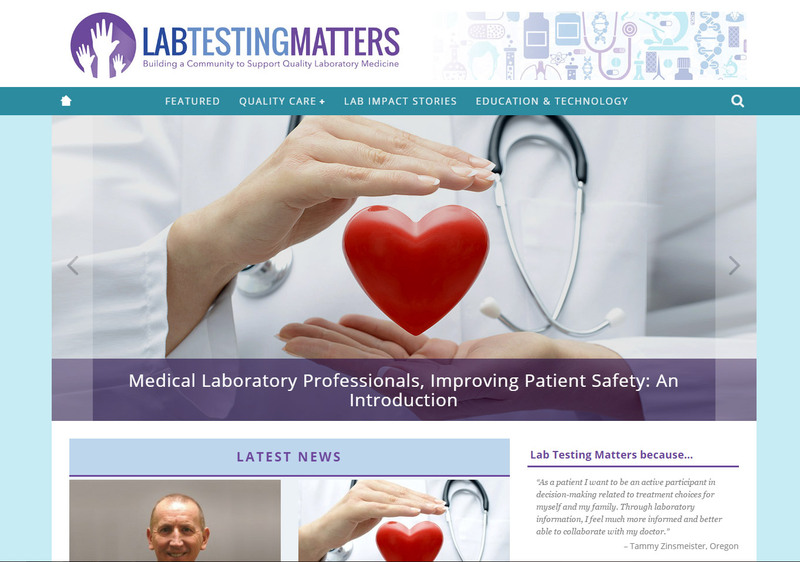 The Lab Testing Matters concept and subsequent web site grew from the 2014 COLA Leadership Summit which brought together a group of interdisciplinary healthcare leaders to consider the true value of laboratory medicine in the modern healthcare system. 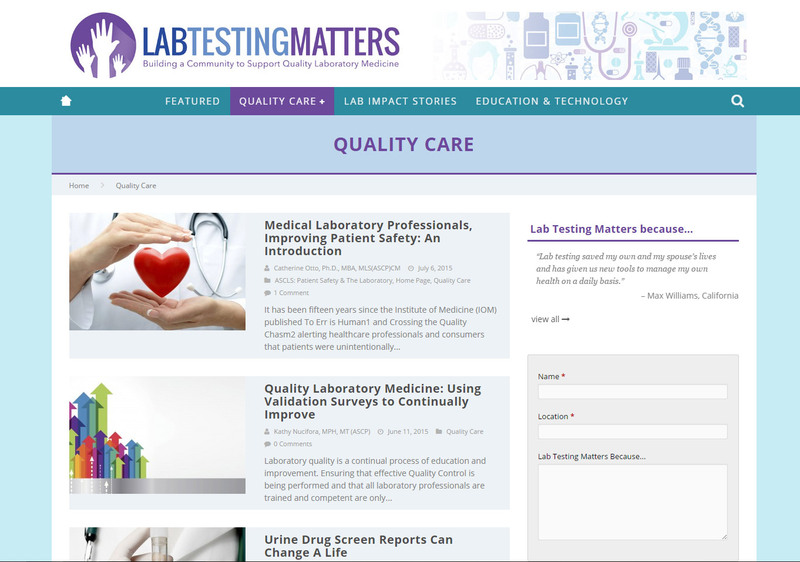 Lab Testing Matters is the next step in continuing to build and foster a sense of community around laboratory medicine spanning difference elements of the healthcare sector, transcending but including those who work directly in laboratories. After having NextLOGiK develop the Summit web site, COLA asked us to then develop the more robust Lab Testing Matters web site. Built on WordPress, the site allows for over a dozen authors to contribute their articles, users can subscribe to the site for instant notifications of updates and they also can discuss any of the topics through integration with the COLA disqus account.